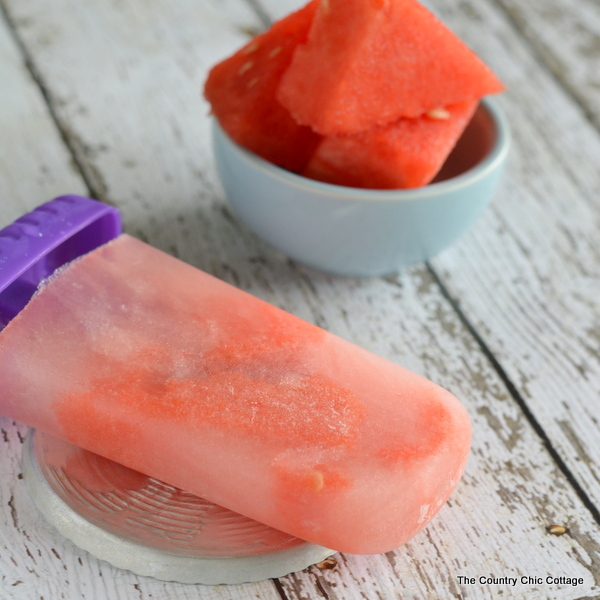 Today I have a great summer treat for you with my watermelon pops recipe. Grab just three ingredients to make these pops for the kids — or heck make them for yourself. A cold treat on a hot day is just what is needed. 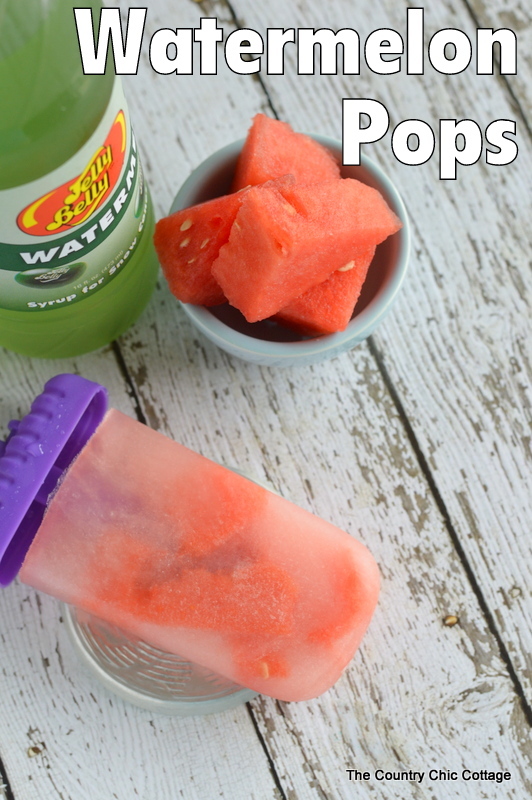 First start by putting pieces of watermelon into your pop molds. The mix your water and watermelon syrup together. Pour into the pop molds over the watermelon pieces. Not to the tippy top but almost. Place in freezer over night or for about 3+ hours. Then rinse the plastic mold with hot water for a few seconds to release the pop and enjoy. This recipe for this shape pop makes 6. Amazing and super easy right? Make this watermelon pops recipe this weekend. You can definitely save this one for Fourth of July weekend as well. Ice cold watermelon….literally! Yum! These look so easy and so yummy! I’m pinning this and hope to make them soon! A lot of pops that I see have yogurt in them and my husband won’t eat yogurt, so I’m glad to find this recipe that he can enjoy with me.